On a recent trip to the Great Smoky Mountains National Park I did what I always do at any National Park location. I hunted down stamps for my National Park Passport. Not familiar with the National Park Passport Cancelation program? Read it about it here. Since we planned to spend a full week in the park (that later turned into three days thanks to some extraordinarily wet weather and a leaky tent) I knew we would have all the time in the world to hunt down stamps across the vast park. Since it was the middle of the week so I didn’t anticipate any traffic congestion (for which the park is famous) keeping us from our destinations. 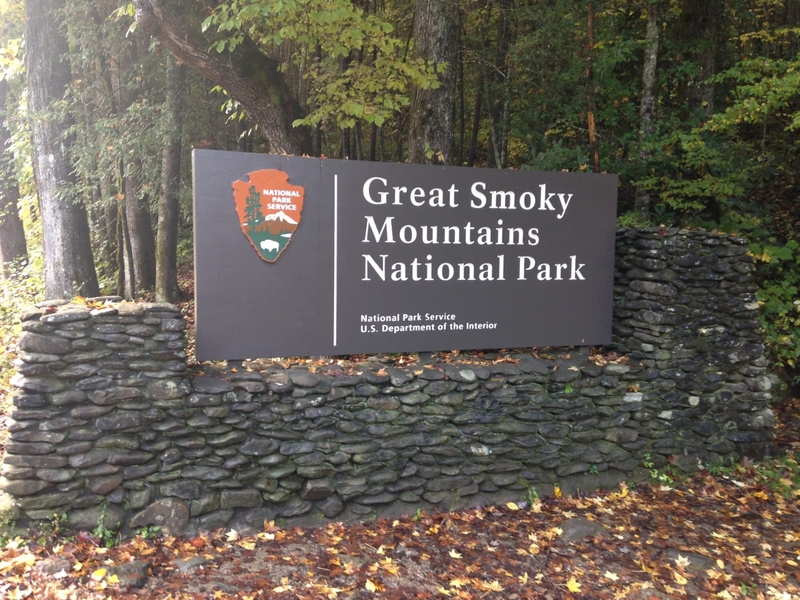 Here is where we scored our Great Smoky Mountains passport stamps for our National Parks passport cancelation stamps collection. 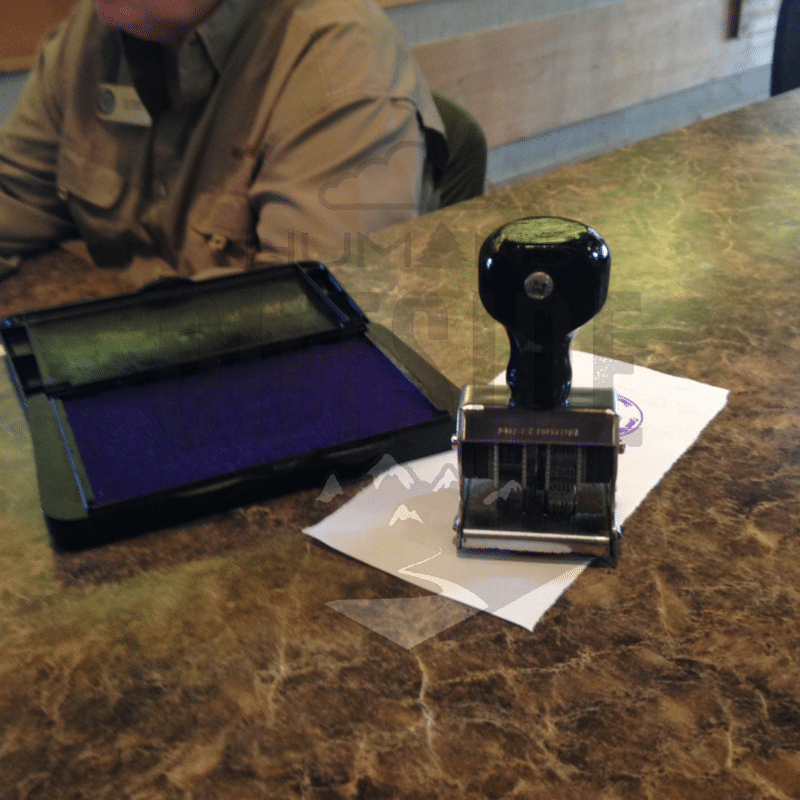 National Park cancelation stamp at the Townsend Visitors Center outside Great Smoky Mountains National Park. We came into the park from Knoxville down highway 321. Our first stop was the Townsend Visitor Center — which featured an art show from a local painter, a book store, bathrooms and a very small display about the area. The stamp was hanging out on the counter. 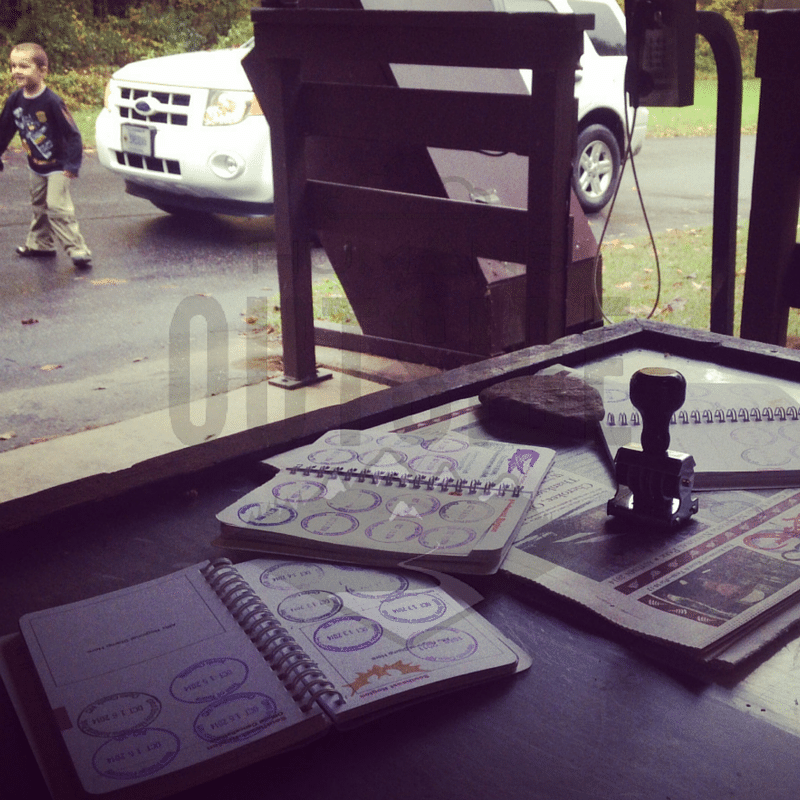 I found a stamp there for the “Townsend, TN” but no special stamps. National Park Cancelation Stamp at the Tremont Institute at Great Smoky Mountains National Park. It was a nice little side drive to this small ranger station and bookstore. I was disappointed because I was hoping for some sort of educational display, but all they had here was a bookstore and some bathrooms. Still — scored a stamp. The Cades Cove Visitor Center is located on the Cades Cove loop road. This loop is The Thing To Do at Cades Cove, but it can take a solid chunk of time to get through, especially if you are there during a high traffic time where cars just craaaaaawl over there loop. It was pouring rain when we were there and we hit the loop at about 9 a.m. We were able to drive without interruption the majority of the loop road and hit the Visitors Center pretty quickly. The stamps there were for “Cades Cove, TN” (same stamp as at the welcome center) and a special 75th anniversary stamp for which I had to ask. (And photo fail). The park stamp folks reported that the Dollywood stamp was at this visitor center in the book store, stored in a red bag. But when I asked after it the Rangers had no idea where it was. Long after I had given up, they were still shuffling through the back storage area looking for it. They even called a few other Rangers who were off working on other locations that day. Nada. But that’s OK since I hadn’t actually been to Dollywood. Always fun to find a secret stamp, though. 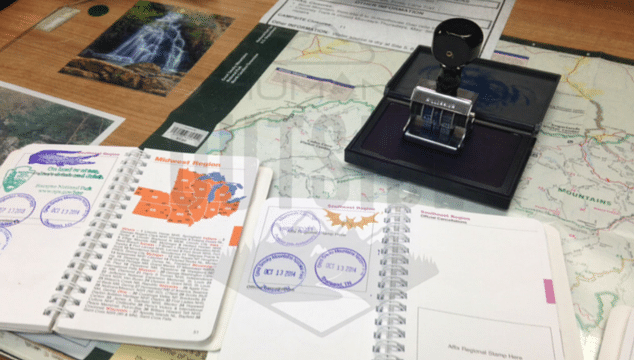 Since the road to Clingmans Dome also crosses the Appalachian Trail, that stamp is available up there, too. We did the long drive up and saw what we could, but I admit that I got the stamp without actually going up to the dome. It was freezing, completely socked in with fog and the visibility was such that from the path to the center I couldn’t even see it. I had to ask another visitor if it was up there, even though it was no more than 100 yards up the path. I didn’t get a photo up there, either. National Park cancelation stamp at Deep Creek campground just inside Great Smoky Mountains National Park. We had planned to stay another night here, but were so sick of camping in the pouring rain in our leaking tent that instead we stopped and went on a short waterfall hike. We didn’t make it the Gatlinburg Welcome Center (because, really, why go into Gatlinburg if you don’t HAVE to? 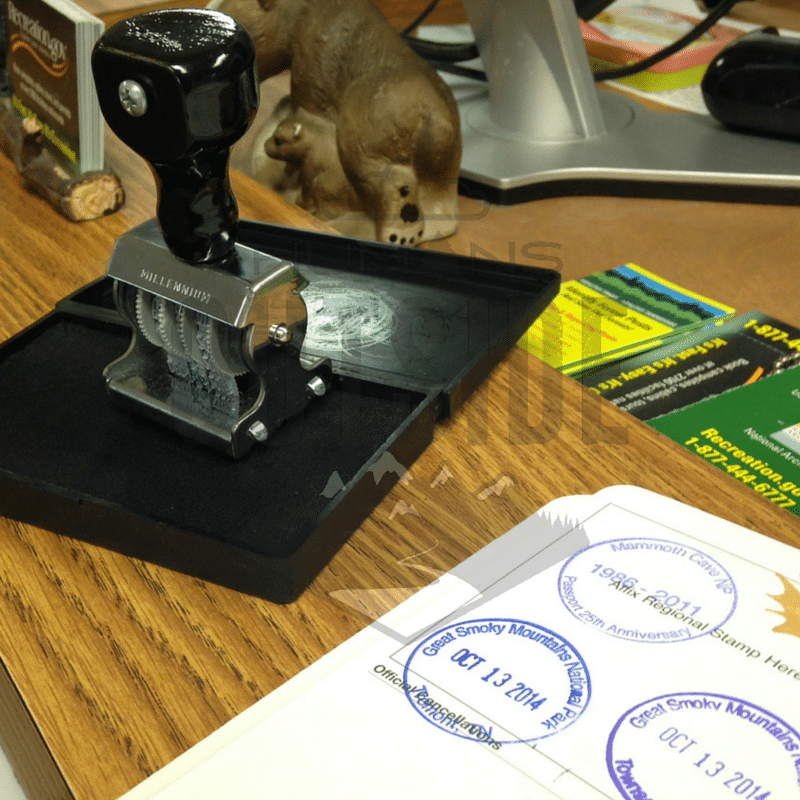 ), out to Cataloochee or up to Sevierville, Tenn.,where there is also a stamp. I guess that means we have to go back. Hopefully this time it’s not pouring rain the entire time. Thanks for doing this. It helps a lot.